I want to show off a couple of my latest designs, shot by multi-award winning New Zealand photographer, Jane Trevathan of Photography by Jane. She was kind enough to do a casting call for a sweet little newborn and photograph these cocoons for me so I have professional pics to use in my pattern listings. 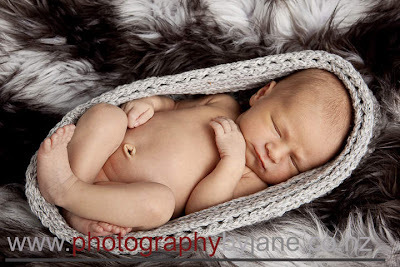 Both these patterns, the Newborn Egg Cocoon (in cream) and the Knit-Look Egg Cocoon (in gray) are now available on Holland Designs. 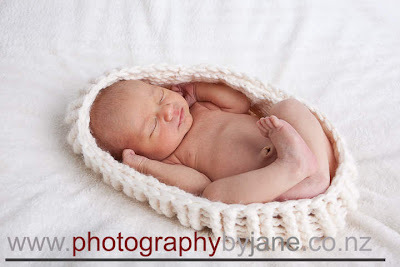 ~those photos are so precious.Makes me wish I had a newborn right now to fit in one.Great patterns to by the way,works up so cute:)Love The Cocoons,breathtakingly sweet!